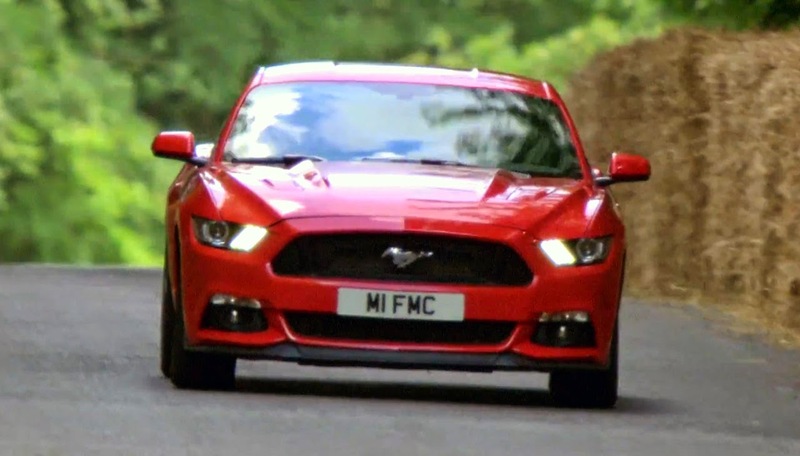 We’ll be the first to tell you that the Ford Mustang is a fantastic car on the street. It’s got tons of power and handles well without compromising a comfortable ride. 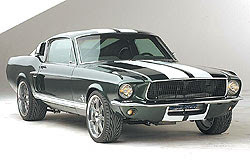 But take the Mustang to your local track, though, and a few weaknesses crop up. 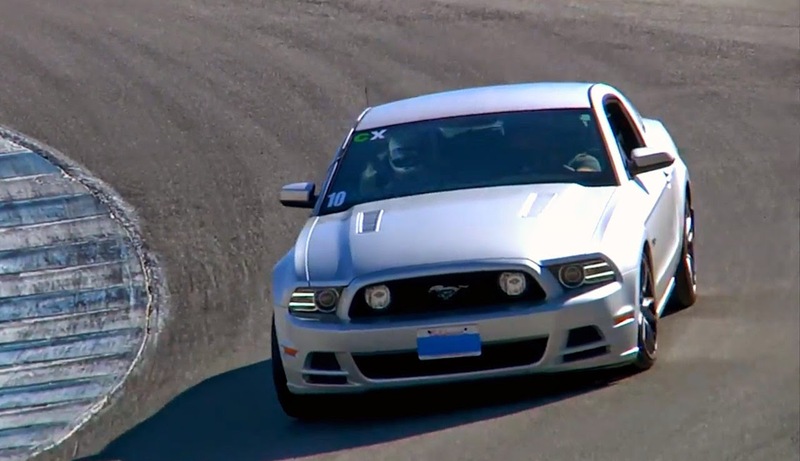 The guys over at Big Muscle are able to tell you this full hand, as they brought their 2013 Mustang GT out to Mazda Raceway Laguna Seca for a track day put on by Hooked on Driving. 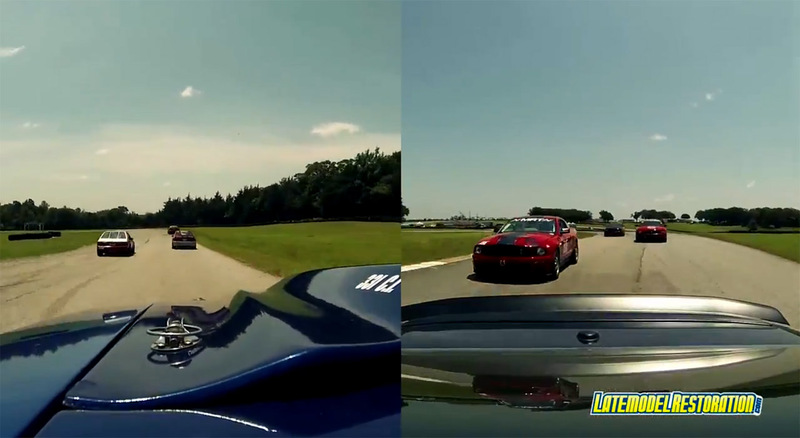 In stock formation, their Mustang exhibited nose dive, understeer and a twitchy rear end. The solution? Big Muscle handed over their Mustang to Filip Trojanek of Cortex Racing who fitted their adjustable coilover suspension with lowering springs, torque arm and watts-link system along with changing the overall geometry of the suspension system. The result is a car that can handle street and track driving equally well. Capaldi Racing announced today the addition of two additional entries in the GTS category of the Pirelli World Challenge as they prepare for a championship run in 2014. 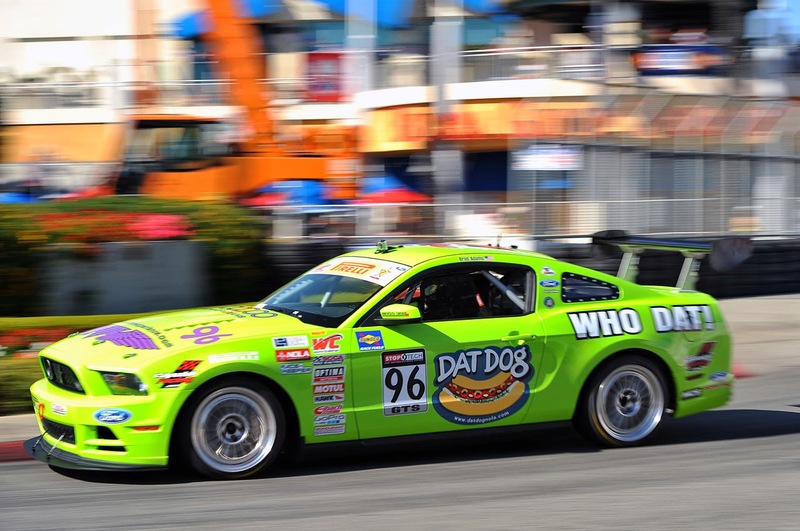 Series veteran Brad Adams returns to the team in his crowd favorite #96 WHO DAT / DAT DOG / Voodoo Experience / Boss 302 Mustang. After a strong finish in the 2013 championship placing 9th overall, Adams brings his World Challenge experience back to the team with sights on an even better outcome for 2014. “Last season was all new for Brad and Capaldi Racing. Although the team and Brad had worked together in the past for one off events, 2013 was the first time we put all the pieces together for a full season. The car was new, the chemistry was new, and we all knew going in that last season was the season to put our notes together and develop. Brad has been a great addition to the team and we are putting all our effort into getting him to the front in 2014.” Stated team principle Leo Capaldi. Also returning to the series in 2014 is team driver Craig Capaldi. After contesting two events in 2013, Capaldi is back for a partial season for 2014 in the Wolverine Bronze / Capaldi Racing / Boss 302 Mustang. “We had our share of set backs last season, we also had a lot of bright moments but bad luck bit us a few times. We have been working hard since the last race, building new cars, acquiring great team mates, and putting all of our teams experience to work. 2014 is going to be the opportunity to put it all on the table!” stated Craig Capaldi. Adams and Capaldi will be joined by road racing veteran Tony Buffomante who recently sign with Capaldi Racing at the 15th annual Performance Racing Industry (PRI) trade show in Indianapolis, IN. Capaldi Racing will open the stable doors for their 2014 assault at the opening round of the Pirelli World Challenge Championship at St. Petersburg this March. 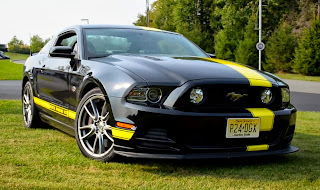 The Mustang Cobra Jet or NASCAR might come to mind when you think of Ford Racing, but the last few years the motorsports arm of the Blue Oval has been heavily involved in rally racing here in the United States as well. Using heavily modified Ford Fiestas hatchbacks converted to AWD, Ford Racing has dominated the Global Rallycross Championship since its inception. Think there’s lots of rubbing paint in NASCAR? You should try watching GRC. The little Fiesta ST is quite a quick little race car. With its turbocharged 2.0-liter engine producing 550+ horsepower it can scoot from 0-60 mph in less than two seconds flat. 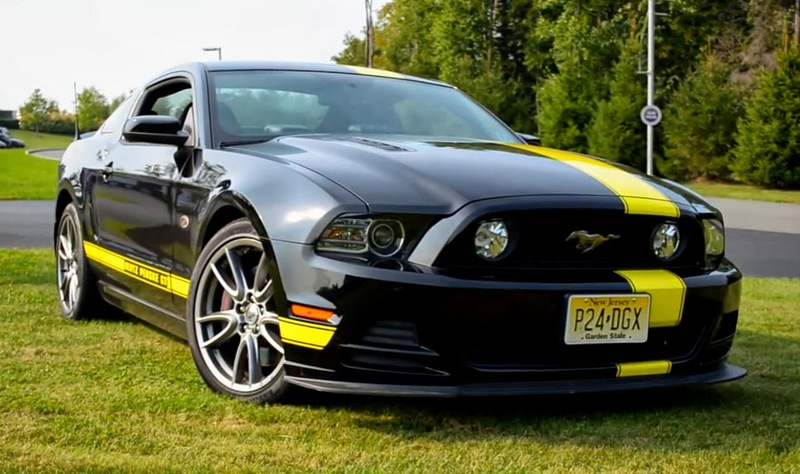 That sounds crazy fast, but is it as quick as the Mustang Cobra Jet? 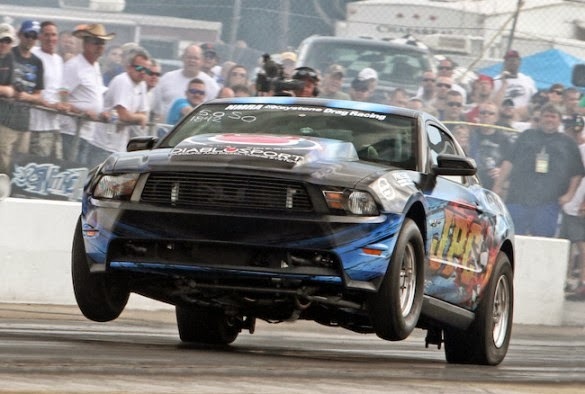 You might think this is a race that would never happen, but after a GRC race in Charlotte Ford Racing took Tanner Foust’s Fiestas over to zMAX Dragway to put it heads up against a 2013 Mustang Cobra Jet from Roy Hill’s drag racing school. Last week we told you about the guys over at JPC Racing setting a new quarter mile record for the 2011+ Mustang 5.0 with an 8.02 second pass at 170 mph at the NMRA Finals in Bowling Green, KY. At the time we surmised that it wouldn’t be long before someone would break into the seven second zone, and now we can report that JPC has done just that. The Maryland based shop took the car out to their home track, Maryland International Raceway, earlier this week, and owner and driver Justin Burcham dropped a 7.94 ET at 172.8 mph on the very first run. Burcham says he used the same setup as he did at the NMRA event last week – 17 psi from the single Precision 76mm turbocharger – with the exception of a freshened transmission. Amazingly, he thinks the car still has quite a bit of performance left in it and believes it will go even faster. The upgrade options for Mustang Boss 302 owners continues to expand as Indiana-based Brenspeed has announced their 715R supercharger package. 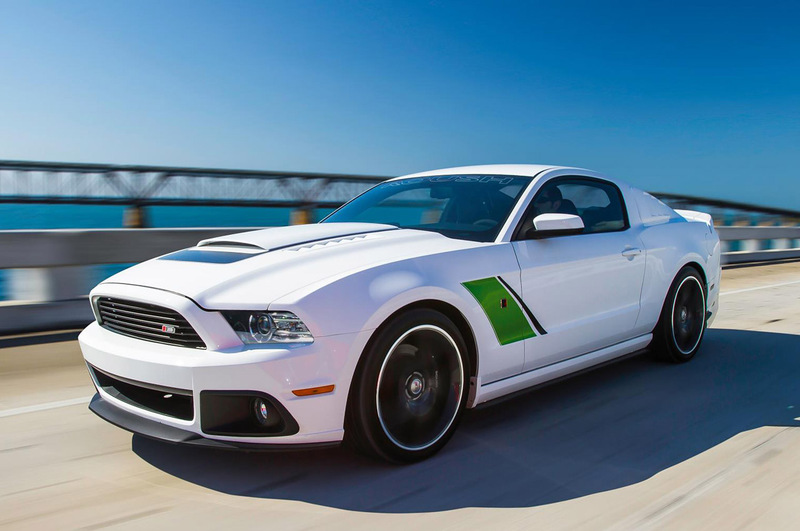 The forced induction system brings the Boss 302′s 5.0-liter V8 up to 715 horsepower and 590+ lb-ft torque at the flywheel thanks to Roush’s 2.3-liter TVS supercharger system, a 100mm cold air intake, a fuel system upgrade and Brenspeed’s unique engine calibration. Along with a set of Kooks headers and high-flow cats, Brenspeed’s own Boss 302 test car produced 631 horsepower and 526 lb-ft torque at the rear wheels, an increase of over 250 rwhp compared to stock. Retail pricing for Brenspeed’s 715R Boss 302 supercharger package is listed at $7,402.13. You can see more details below as well as a video overview about the system. The 39th annual Mid-America Shelby Meet was held in Tulsa, OK last month from June 12-16th, offering up five days of pure pony car fun. This event has something for every Mustang fan with the open track time at the 1.8 mile road course at the Hallett Motor Racing Circuit, a full day of drag racing at Tulsa Raceway Park’s quarter mile drag strip, a huge all-Ford car show with 40 different classes and a gigantic swap meet with both vintage and late model parts. Thanks to the boys at Latemodelrestoration.com, we get to tune into some of the action from the track as they brought out some of their recent creations including a 1993 Mustang GT, their 2011 Mustang RTR project car, and their 1997 Mustang “Coyote Swap” Cobra all fitted with a slew of HD cameras. The car’s competed in the late model race (there was also a vintage race), and it looks like there were quite a few quick Mustangs in the field.